Get 12,000 Avios or 15,000 Virgin miles with a new sign-up bonus on the Tesco Premium Credit Card! Tesco Bank has launched its biggest ever sign-up bonus for the Tesco Premium Credit Card. You can check out the details here. As usual I need to tell you that the representative APR is 56.5% variable, including the fee, assuming a notional £1200 credit limit. The rate on purchases is 19.9% variable. Until 11th July, you will receive 5,000 Tesco Clubcard points when you sign up. There is NO spending target to hit. All you need to do is make one purchase in Tesco, or online from Tesco Direct, within two months of getting the card. …. or up to £200 of Pizza Express vouchers or other Clubcard redemptions! Not only that, but you will be getting the highest earning Avios credit card which is a Visa or Mastercard assuming that you do not qualify for HSBC Premier. It works out at 0.6 Avios per £1 spent. And free travel insurance for your family. The Tesco Premium Credit Card has a £150 annual fee. You are paying £150 to receive 12,000 Avios or 15,000 Virgin Flying Club miles plus the other card benefits. You really need to look at these other benefits to decide if the card is worth it. Even if you think it is good value for the first year – and it is, I think – it is difficult to recommend renewing it unless you use the travel insurance or you can trigger the Tesco spend bonus. Full details of the benefits are on the Tesco Bank website here. This card would pay you 2.4 Avios points or 2.5 Virgin Flying Club on every £1 you spend at Tesco. This is a very decent return if you spend a lot of money with them, even if you don’t spend £5,000 per year. However, you can get the same rate from the Tesco Bank debit card on your Tesco shopping if you want to open a Tesco Bank current account. Let’s imagine that you DO spend £5,000 per year in Tesco. This may be possible if you always buy your fuel there or shop for a large family. Things start looking interesting. I can recommend this card if you easily spend £5,000 per year in Tesco purely because of the extra 5,000 Clubcard points at the end of the year. That would get you 12,000 Avios or 12,500 Virgin Flying Club miles. More importantly, you would have earned 2.4 Avios or 2.5 Virgin miles per £1 on all that £5,000 of spending which would be another 12,000 Avios or 12,500 Virgin miles. And none of this factors in the value of the sign-up bonus. This covers immediate family members under the age of 70 and includes 17 days of Winter Sports cover. You should look at the small print of course, especially if you have pre-existing conditions. If you currently pay for travel insurance then this would have some value. If you have it via another source – mine comes from American Express Platinum – then you won’t. Depending on your age and whether you do ‘winter sports’, a bargain basement family policy will cost between £50 and £70. If you are not leaving Europe, you will pay less. That said, the moneysavingexpert.com ‘top pick’ (based on generosity of terms and payout history) is from LV and costs around £115 per person for global cover. You need to decide what value, if any, you place on this benefit. The current Mastercard and Visa offers on travel credit cards are weak which enhances this offer. Converted to Avios, you would be getting 0.6 Avios for every £1 you spend based on receiving 0.25 Clubcard points. This is substantially better than the Lloyds Avios Rewards Mastercard which earns just 0.25 Avios per £1. Remember that Tesco rounds down every transaction to the nearest £4, so a £7.99 transaction only earns 1 point and a £3.99 transaction earns nothing. It is not the best deal for collectors of Virgin Flying Club miles. You would be far better off getting one of the two new Virgin Flying Club credit cards. However, if you were turned down for the new Virgin Atlantic cards then this is not a bad substitute. The existing MBNA Virgin cards are likely to be closed very soon. I would value this at nothing, as I believe that you would still get a better deal using a 0% FX fee credit card or a 1% fee Curve Card for purchases abroad. To get a small amount of cash, using an ATM using a normal debit card with a 3% fee is still likely to be a better deal. Whilst currency purchases made using the card at Tesco Travel Money are treated as purchases and not cash advances, they do NOT earn Clubcard points. This new 5,000 Clubcard points sign-up bonus makes the Tesco Premium Credit Card look attractive for the first time ever – at least for a year. If you an Avios collector who has a lot of Visa or Mastercard spending then this is very interesting. The 12,000 Avios you get from the sign-up bonus offsets much of the annual fee and you are left with a generous Visa / Mastercard product and a year of free travel insurance. If you are a Virgin Flying Club collector then this is an opportunity to buy 15,000 Virgin miles for £150 – and get a year of free travel insurance. For day to day spending, stick with one of the new Virgin Atlantic credit cards. If you spend a lot on Uber in the UK then this is basically a way to get free annual travel insurance for a year as well as a generous Visa / Mastercard credit card! The 5,000 Clubcard points will convert into £150 of Uber credit which entirely nets off the annual fee. 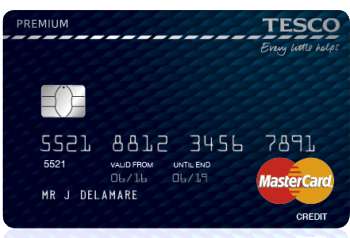 If you spend £5,000 per year in Tesco, get the card – you will do well with it. For these people it is a decent deal even if you pay the full annual fee for Year 2 onwards. If you are a very high earner, do compare Tesco Premium with the HSBC Premier World Elite Mastercard which is a better package and also, via the linked current account, gives you travel insurance. However, with HSBC Premier restricted to people with large sums invested with HSBC or a high salary, you may not have the option. You can find out more about the Tesco Premium Mastercard, and apply, on this page of the Tesco Bank website. O/T – My AwardWallet subscription is up for renewal. I know this time last year there was an offer for $10 including grandfather rights to the $10 fee. Anyone had that go through OK automatically OK? Don’t feel it is worth $30 for 1 year for my profile. I renewed last week. $10. Same here. I think I signed up to pay twice-yearly. $5 charged automatically last week. Definitely not worth keeping beyond year one unless you are interesting in ‘buying’ miles. What is not so clear is what would happen if you cancelled after hitting the 5k spend but before the end of the year. Or is this another situation where you need to cancel on day 365 to bag the bonus but avoid the fee for year 2? You could earn really 5000 Clubcard points for spending £150 on Lego when there’s a bonus offer on and have the Lego to show for it as well! For those using clubcard for Avios this is a great offer from Tesco if you shop there! I need to spend a tank of fuel every week so not a problem for me. Not sue what rate you value Avios at. At 1p its worth a net £330- still pretty good – as long as you get thru 5k with them. I see breakeven at £625 spend – maybe 10 tanks of fuel? So above that its pretty good even if you don’t hit £5k Remember if you shop at Tesco you get 1.5 Avios from a £1 BAPP spend but with this its 4.8 Avios. I had a card last years and there was no early pro rata exemption and I don’t think gift cards counted either.. I still managed to rack up 50 thou odd points, theres always a PC deal at some point and a couple of laptops gets you up to the bar easily. What I mean is if you buy Avios from BA, this is the cost to buy. You are right I still value Avios at 1p. BAPP = Tesco 1000 points + 1500 BAPP Amex = 3200 +1500 Avio @ 800 rate = 4700 Avios! What kills this card is the fact that Tesco now take Amex, meaning that spending for fuel / shopping will likely be better pushing through the BAPP / Amex card cycles to hit spending targets. The only way I could see this being attractive as a non-Amex card would be if they give it as a free upgrade (for a year) to existing free cardholders, or if you don’t collect Virgin Miles at all. Now accept Amex? Did Tesco ever not accept it? Any idea about pro-rated refunds if the card is closed during the first year? My bad, didn’t see there was a prior page. Thanks! Just ‘reaching out’ to you Mark – I suspect that is the sort of language you use too – to say ‘your mistake’ not ‘your bad’. Or maybe you are bad. You naughty boy! Actually I forgot the free clubcard point so its 3.9 Avios with a BAPP spend at Tesco ! You don’t get get the 5k Tesco spending bonus until the end of the year. Actually, according to the Ts and Cs, up to 45 day AFTER the card anniversary. I would say you need to renew the card to guarantee getting those points. So you need to factor in a further £150 fee. If you keep the card permanently you are effectively paying £150 for a retrospective annual bonus of 5000 clubcard points (assuming you continue to meet the 5k Tesco spend). 3p per cc point is just about breakeven in my book but I do think that the 5k would be better utilised earning sign up bonuses with other cards. The earning rate on Tesco spend is excellent but, as mentioned in the article, you earn the same rate with a Tesco debit card (at least until April 2019) with no fees and no need to think about spending 5k at Tesco in addition to all your other spending targets. I would say that as the bonus would have been earned in the previous year, Tesco would have difficulty justifying not paying that bonus if you cancel, especially if you remain a Clubcard member. I just checked with Tesco and they (the representative) confirmed that this was the case. Added to that, he said that you can cancel at any time and get a pro rata return. So, he said, you could, if you wish, wait for the bonus and then cancel part way through the secoind year. I asked him if he was certain. He said, “100%”. Interesting. On my review of the T&Cs it was clear that no refunds were applicable. If I get USD from Moneycorp using my personal AMEX, is this still classified as a purchase as opposed to a cash advance please? Hey Lucy, I paid £550 for euros and it went towards my qualifying spend for my amex. So worth a try imo. Lucy, anything O/T needs to go under ‘Bits’ ..thanks. Bet Mikeact is fun at parties hey?!?!!! not sure about MoneyCorp, but buying any currency at post office on my amex platinum has always gone through as a regular purchase….. Thank you very much, Simon! The Christmas party was good fun ! Probably a question that’s been asked before but i can’t find the answer. i’ve got the BAPP and my wife has a PRG card. We’ve both hit the minimum spend bonuses and i’ve just recently got my 241 voucher. Can i refer my wife for the BAPP or, vice versa, can she refer me for the PRG for us to get further spend and referral bonus? You can refer your wife for the BAPP (from your BAPP), and you will receive 9,000 Avios. Your wife can refer you for the PRG (from her PRG), and she will receive 9,000 MRs. Even better – why doesn’t your wife upgrade her PRG to Platinum using the “special” link for 20k MRs (after spending 1k), then refer you from Plat to PRG, for another 18k MRs.
What Jonny says, upgrade then refer, 18000 points instead of 9000. Spend the £1k, transfer the points out and cancel the PRG, you’ll get most of the £450 refunded. Just try to judge the spend to hit all the sign up bonuses. Where is this ‘special’ link?